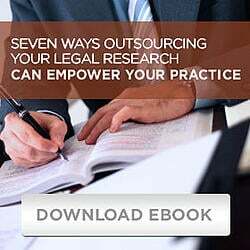 Legal Research for Wills - Trusts, Estates & Tax Law Blog | National Legal Research Group, Inc. In Kimberley Rice Kaestner 1992 Family Trust v. North Carolina Department of Revenue, ___ N.C. App. ___, 789 S.E.2d 645, aff'd, ___ N.C. ___, 814 S.E.2d 43 (2018), cert. granted sub nom. North Carolina Department of Revenue v. Kimberley Rice Kaestner 1992 Family Trust, No. 18-457, 2019 WL 166876 (U.S. Jan. 11, 2019) the court addressed the issue of whether North Carolina's taxation under North Carolina General Statutes § 105-160.2 of the income accumulated by the trust in question met the minimum contacts requirement of the Due Process Clause of the Fourteenth Amendment to the U.S. Constitution, where the trust's only connection with North Carolina was the residence and domicile of the beneficiary. The Trust, the Kaestner 1992 Family Trust, was established by Joseph Lee Rice III, with William B. Matteson as trustee. The situs of the trust was New York. The primary beneficiaries of the trust were the settlor's descendants (none of whom lived in North Carolina at the time of the trust's creation). In 2002, the original trust was divided into three separate trusts: one for each of the settlor's children, with each trust named for a child. At that time, one of the children, Kimberley Rice Kaestner, the beneficiary of the plaintiff Kimberley Rice Kaestner 1992 Family Trust, was a resident and domiciliary of North Carolina. Neither the original trustee nor his successor was a resident of North Carolina. On January 12, 2018, in South Dakota v. Wayfair, Inc., 138 S. Ct. 735 (2018) (Mem. ), the United States Supreme Court granted a petition for writ of certiorari with respect to the decision by the Supreme Court of South Dakota in State v. Wayfair Inc., 2017 SD 56, 901 N.W.2d 754, holding that a state statute that requires Internet sellers with no physical presence in the state to collect and remit sales tax violated the dormant Commerce Clause of the U.S. Constitution. It is not often, if ever, that the U.S. Tax Court quotes a show business celebrity in its opinions, but it did so in a summary opinion filed on August 16, 2017, in the case of Omoloh v. Commissioner, T.C. Summ. Op. 2017-64, 2017 WL 3530853. The case turned on whether the taxpayer, Wilfred Omoloh, was age 59½ at the time that he took a distribution from his individual retirement account ("IRA"). I.R.C. § 72(t) ("10-percent additional tax on early distributions from qualified retirement plans") provides in subsection that (1) if the taxpayer receives a distribution from a qualified retirement plan such as an IRA, the taxpayer's income tax liability for the year will be increased by an amount equal to 10% of the portion of the distribution includible in gross income. However, under subsection (2), the 10% penalty of subsection (1) shall not apply if the distribution is made on or after the date on which the taxpayer attains age 59½. In the execution of wills, many testators utilize the optional execution of self-proving affidavits, where statutorily authorized, wherein the will execution witnesses sign a statement before an officer authorized to administer oaths affirming their observation of the testator's mental capacity and testamentary intent, as well as the signing of the will. A properly executed self-proving affidavit raises a legal presumption of due execution and eliminates the normal requirement mandating that witnesses to a will testify in court as to the authenticity of the will. The one area of taxation that is recognized on both sides of the political aisle as badly needing reform is the federal corporate income tax. One fact that signals the need for reform is that the maximum tax rate for the ordinary income of U.S. corporations is at 35% on taxable income exceeding $10 million (Internal Revenue Code of 1986, § 11(b)(1)(D)), among the highest marginal rates in the world (e.g., Ireland 12.5%; Germany 29.65%). As a result, and as prominently reported in recent months, a number of U.S. corporations (notably Apple and Alphabet (Google)) have shifted the locus of intangible assets and/or corporate headquarters to countries with favorable tax rates (a procedure known as a "corporate inversion"). United States corporations are subject to federal income tax on their global profits, but by not repatriating their profits attributable to a foreign situs, those corporations avoid paying taxes by simply not bringing those profits back to the United States. Where testators or settlors create charitable gifts in trust for named institutional beneficiaries, when the contemplated distribution is ready to be made, sometimes it is found that the intended charity is involved in bankruptcy proceedings. Therefore, the question arises as to the proper disposition of such charitable gifts in trust to the bankrupt institutional beneficiaries. There is little law, even nationally, discussing the proper course of action in the event that a named charitable beneficiary is found to be in bankruptcy at the time of distribution. It is logical that a testator who makes a charitable gift would not want his or her gift to be subject to collection by the intended recipient institution's bankruptcy trustee, as such action would solely benefit the charity's creditors, rather than advancing the intended charitable purpose. There is at least one federal opinion interpreting and predicting state law on this point, holding that: (a) Under Massachusetts law as predicted by the First Circuit Court of Appeals, a charitable organization that has ceased to perform charitable work, and that is incapable of redirecting funds for charitable purposes, is ineligible to receive a charitable bequest or gift, absent a contrary provision in will or trust instrument; and (b) It is "difficult to imagine" that, absent special circumstances, a testator seeking to advance general charitable interests would ever intend her gift to be used for the benefit of creditors rather than to promote charitable purposes actually intended. In re Boston Reg’l Med. Ctr., Inc., 410 F.3d 100 (1st Cir. 2005).